The world has lost a great man, a servant of God and a leader to the people of the Hindu Community. Our family is deeply saddened to inform you that a loving Son, Brother, Husband, Father, Son-in-Law, Brother-in-law, Grandfather, Guruji, Spiritual Leader and Hindu Priest PANDIT VISHNU SUKUL of the Vishnu Mandir in The Bronx passed away today with his loving children and wife singing and praying for him. The death of a priest is unlike the death of any other: we feel it differently, deeply. The death of a Father is unimaginable and incomparable. 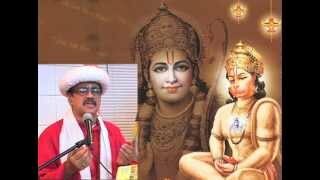 We sense that in losing we have lost not only our loved one but also his unique way of praising and preaching the name of God and practicing Hinduism throughout the world. The voice that sang and spoke of God has been silenced; hands that once blessed and performed offerings are impotent. Our beloved leader has been called back and it is somewhat a loss in our very communication with the Lord but we keep our faith strong. No one will ever again exemplify the Gods and Goddess for us in the singular way that our Father and Pandit has done. My Father will forever be our earthly God. He has traveled the world and was there for thousands of Devotees. Thursday, February 21st thru Saturday, February 23rd from 6PM-8PM. 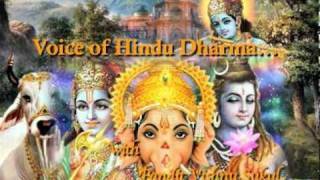 DANCE Class Sundays -- 12:30 p.m - 1:30 p.m.
HINDU CULTURE Classes Sundays 2:00 -3:30 p.m.
"Voice of Hinduism" on the Bronx-net station *** Channel 69 Sundays from 4:00 p.m. to 5:00 p.m.
"Voice of Hindu Dharma" on the Bronx-net station *Channel 70 Thursdays from 1:00 p.m. to 2:00 p.m. Copyright 2009 Vishnu Mandir. All rights reserved.